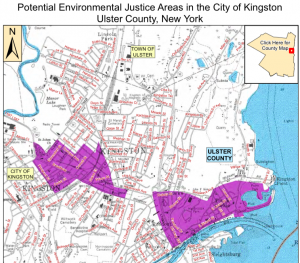 CoK Mayor Steve Noble Advocates for Public Participation Plan for ToU Power Plant Proposal in Rondout’s Potential Environmental Justice Area. Since then, the City of Kingston has not heard another word on how the project sponsor intends to respond to the DEC’s request. 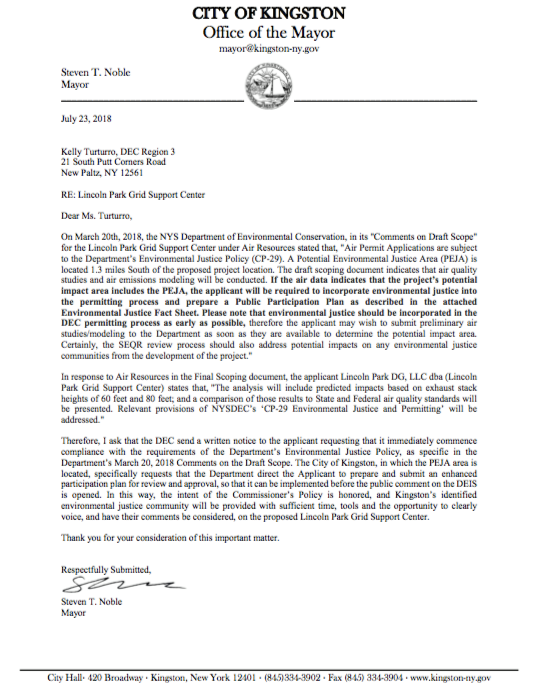 On Tuesday of this week, Mayor Steve Noble sent a letter to the DEC’s Region 3 Regional Director Kelly Turturro to follow-up. For today, you can reach out to our Mayor and thank him for taking a proactive approach on this. Without having done so, it isn’t clear whether or not the applicant would have complied. This will most certainly help. We’ll follow-up as we learn more.